Hope this post finds you all well and prepared for the upcoming Easter celebrations. I'm sure time flies quicker as I get older. We've been very busy here at our house as usual. We had a lovely little High Tea last Sunday with all the kids and Michaels mum and sisters family. Lots of yummy homemade cakes and little sandwiches...very posh. Speaking of which,I recently did a guest DT spot for the lovely Tenisha, owner of Scrap Elegance who supplied me with these cute little handmade buttons. The day I was creating the layout my Scrap FX DT goodies arrived and of course, I had to use them straight away. This layout is about my good friends little boy who has suffered so much in his short little life. He is the funniest, craziest kid I've ever met and I love him to bits. The tag under the main photo is a new Scrap FX tag and let me tell you they are awesome! Well I'm off to tidy my scrap room, ready for the extra creative time I hope to get. Lovin' the green on your card and that LO is very sweet! I'm so in love with the tags from ScrapFX as well!! 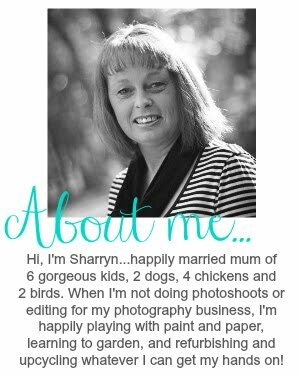 I really love the card Sharryn! GREAT use of neon in an understated and classy way. I also love the layout- I just read the sentiment and it made me pause and think- GREAT message and wonderful design as well. 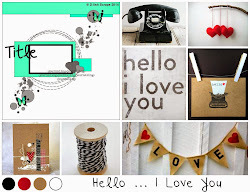 Thanks for linking this up and I can't wait to see your write up over at Scrap FX! Wow! That's an awesome use of the neon green on the card. Such an elegant card! And I love the circular action on your fabulous layout! Thanks for playing along with my guest Michelle's neon challenge.